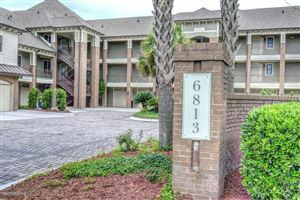 The Village at Mayfaire is a luxury condo complex in Wilmington, North Carolina. It's located within walking distance of all the great shops and dining at Mayfaire Town Center, as well as the Regal Cinemas movie theater. It's also a short drive to Wrightsville Beach. The community features a 5,500 square-foot clubhouse, private theater, gathering area, Jr. Olympic pool, outside grilling pavilion, lighted tennis courts, and a car washing station. Click on the listings below to see pictures, features, amenities, school information, and more. Interested in viewing a home or have questions? Please don't hesitate to contact us. We can help you with this community or any other in the Greater Wilmington real estate market.